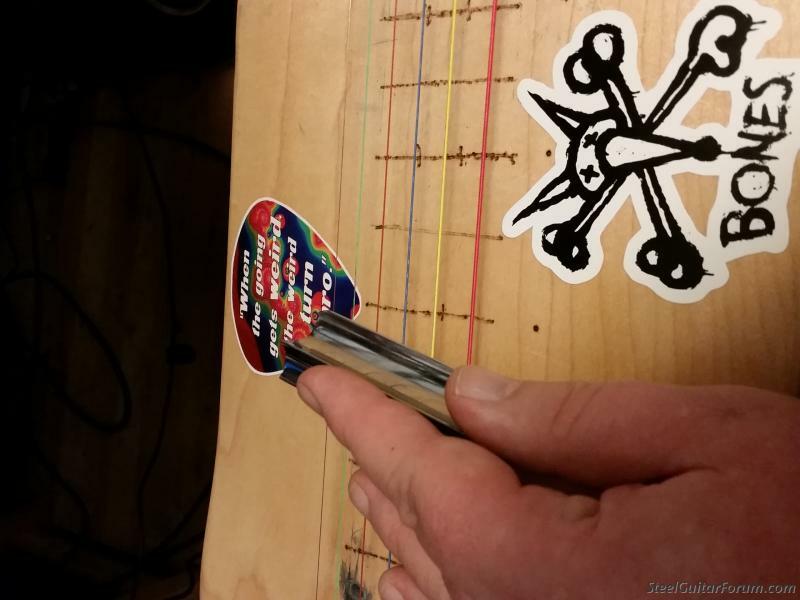 I've joined the Steel Guitar Forum finally, after showing up at Larry Chung's inaugural Steel Guitar Summit with my humble "Franken-Skate" lap steel. 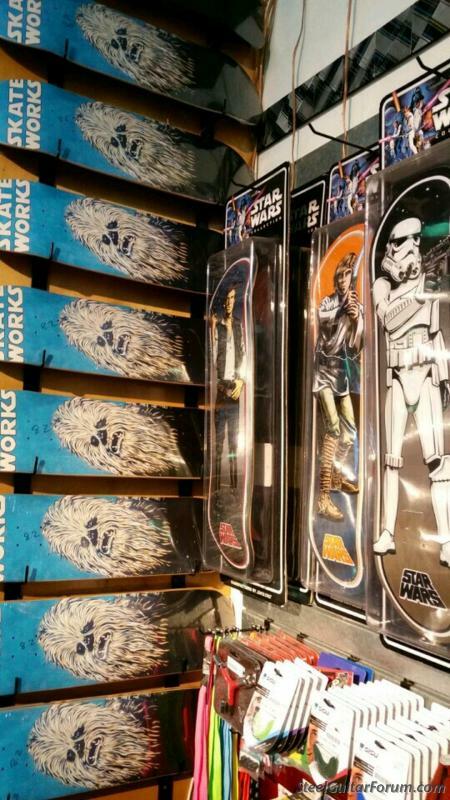 She came into my life as a broken skateboard deck from the manager at Skateworks in Los Altos. The cracks around the bolt holes only affected its rideability and they were parallel with the strings so I went with it. 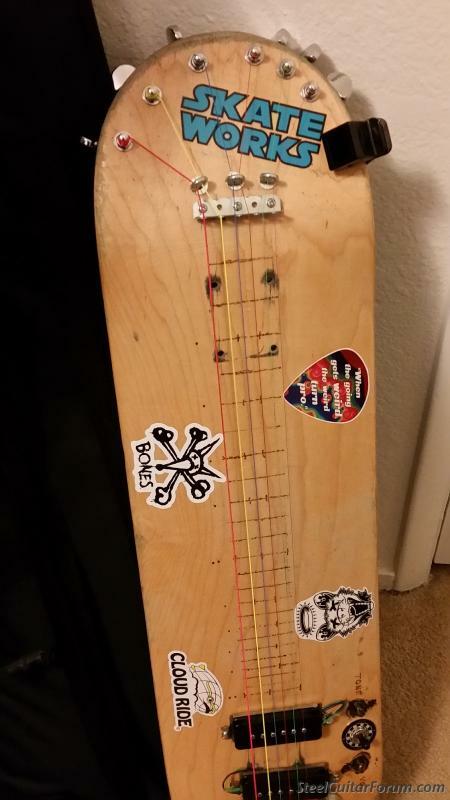 I built this trying to keep the amount of "guitar parts" to a reasonable minimum. The tuning keys and ferrules came from C.B.Gitty. The P-90 pickups were sourced at The Gryphon stringed instruments. Almost everything else came from Lowe's hardware. The nut is simply an aluminum angle bracket. The bridge is 2 cable clamps suspending an aluminum turnbuckle. The measurements were made with a plastic ruler and aren't accurate due to the curves of the material. 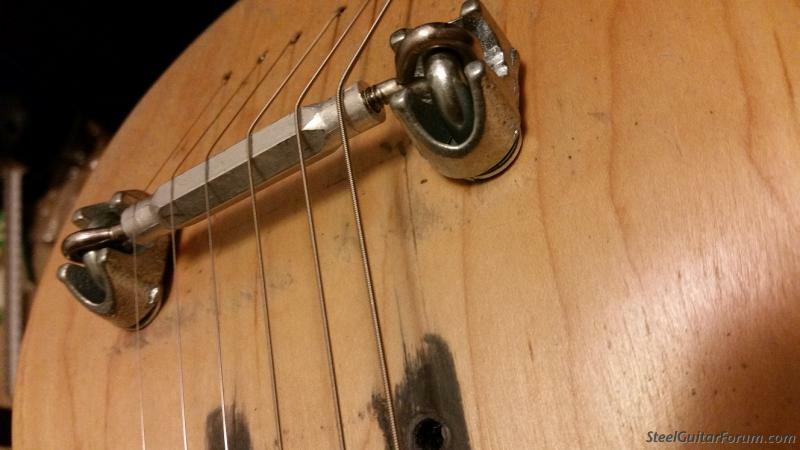 The fret lines were burned in the wood haphazardly with my soldering tip. Despite all this, it resonates beautifully and sounds good. 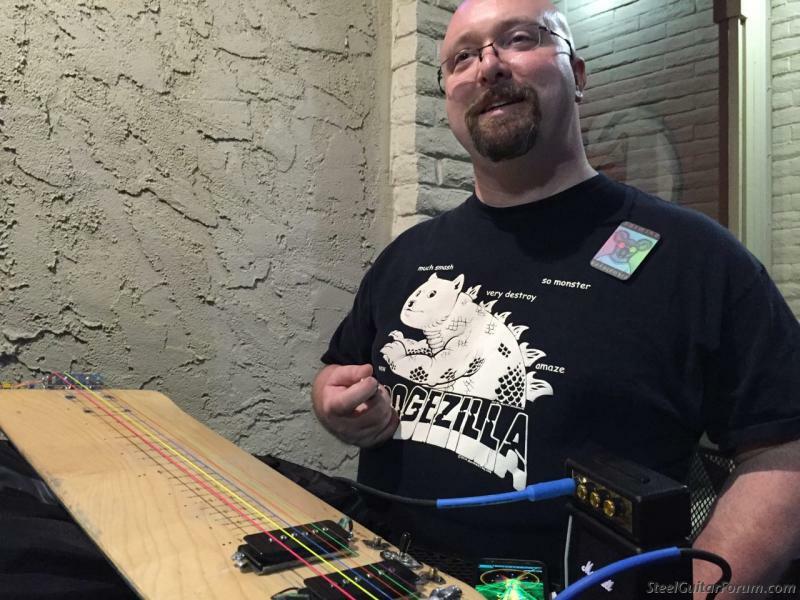 Pitch bending and vibrato is accessible just by flexing the board. 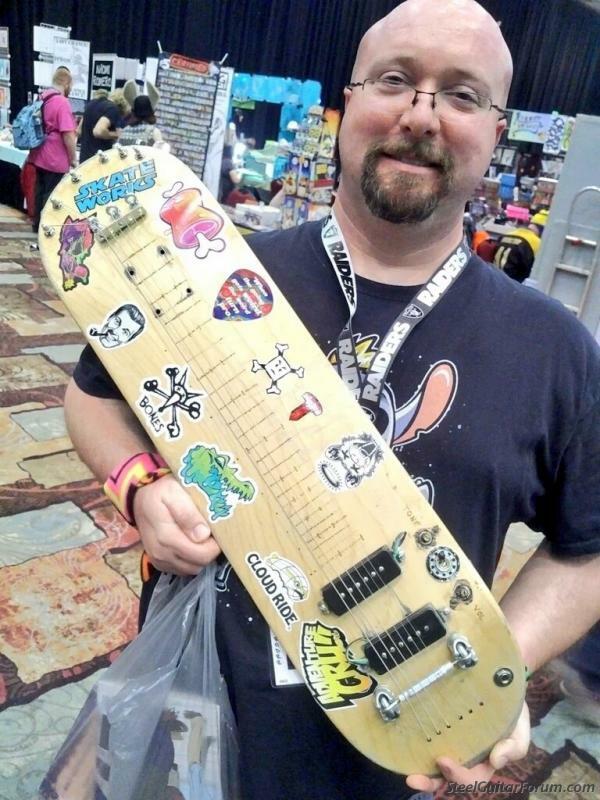 Scale length is 22.5 inches. It's wired in the Les Paul style. 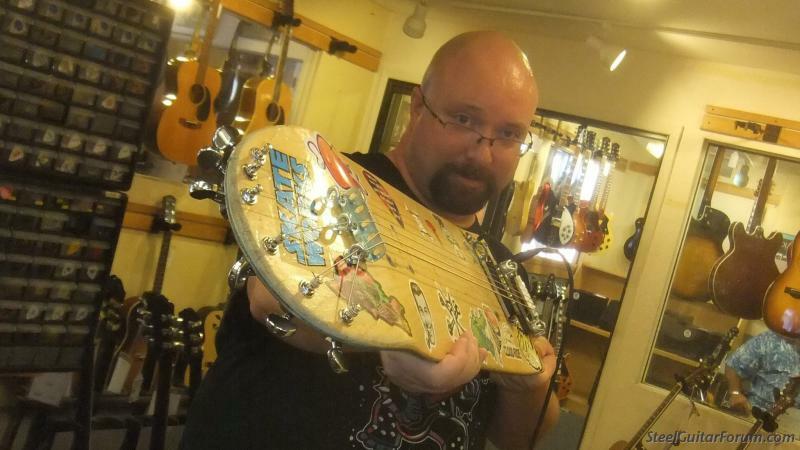 At the moment it's tuned to Open A (E-A-E-A-C#-E) because it has electric guitar strings and not lap steel strings. I welcome any and all discussion and questions. Pictures and video to follow in this thread. The following two photos are by Alan Brookes and reposted from his photo thread on this forum. 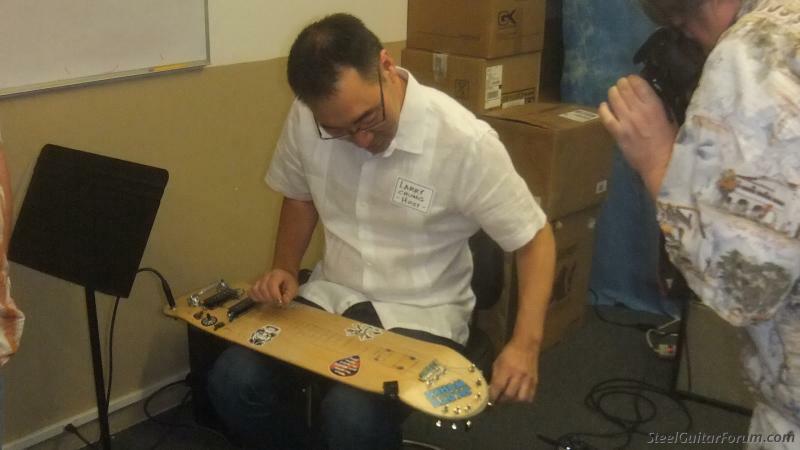 Here is the event organizer, Larry Chung, tuning it up. This is my combo amplifier. 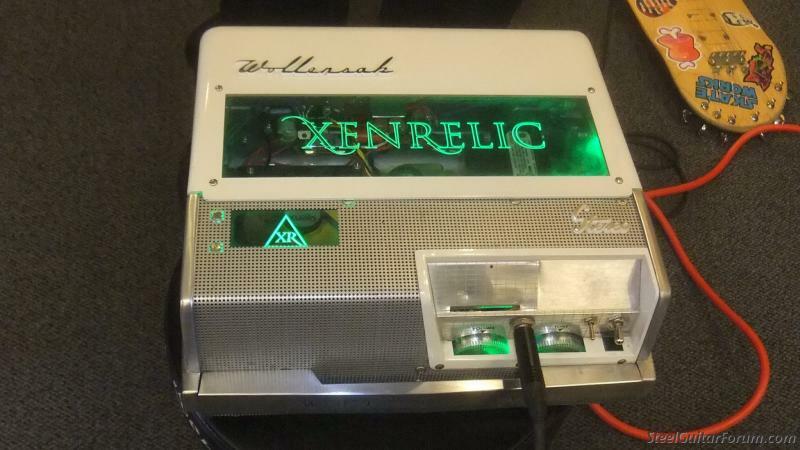 Built by Xenrelic Amplification, it's a Champ-Amp circuit and a little 5 inch speaker, housed in a Wollensak tape recorder case. 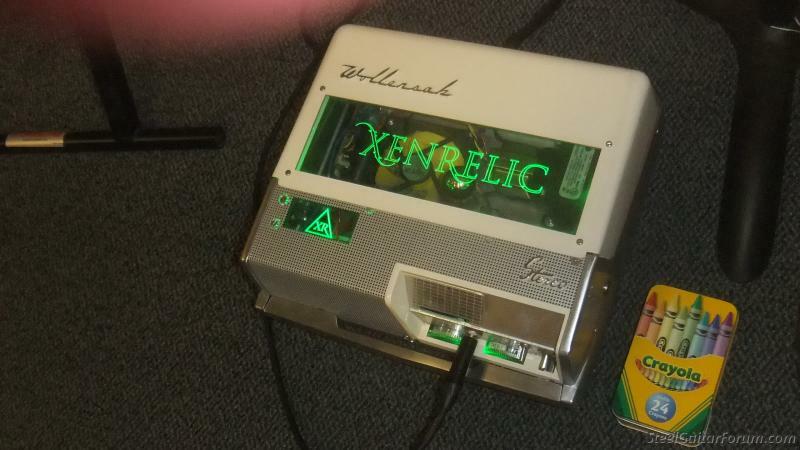 Here are more pictures of the amp hosted on Imgur.com. I like it. Clever use of materials on the bridge and string trees. 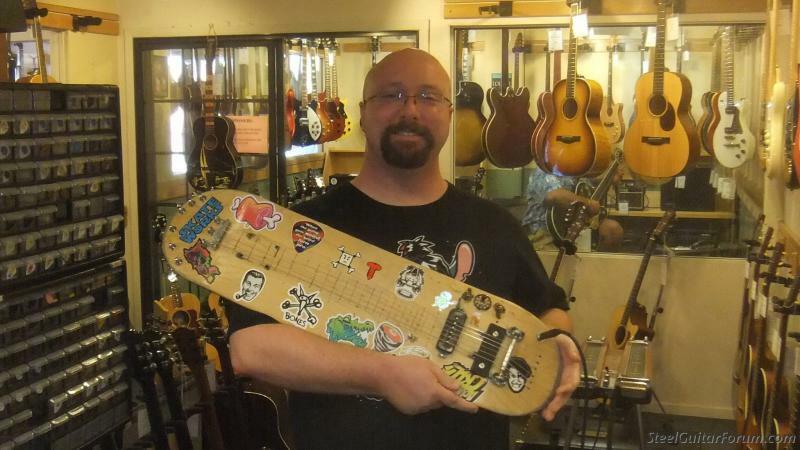 I took the skateboard lapsteel to Reno this weekend for an open mic performance. Musicians and skaters came up to thank me. This is new territory for me. I also made a video on YouTube of my instrument, finally! 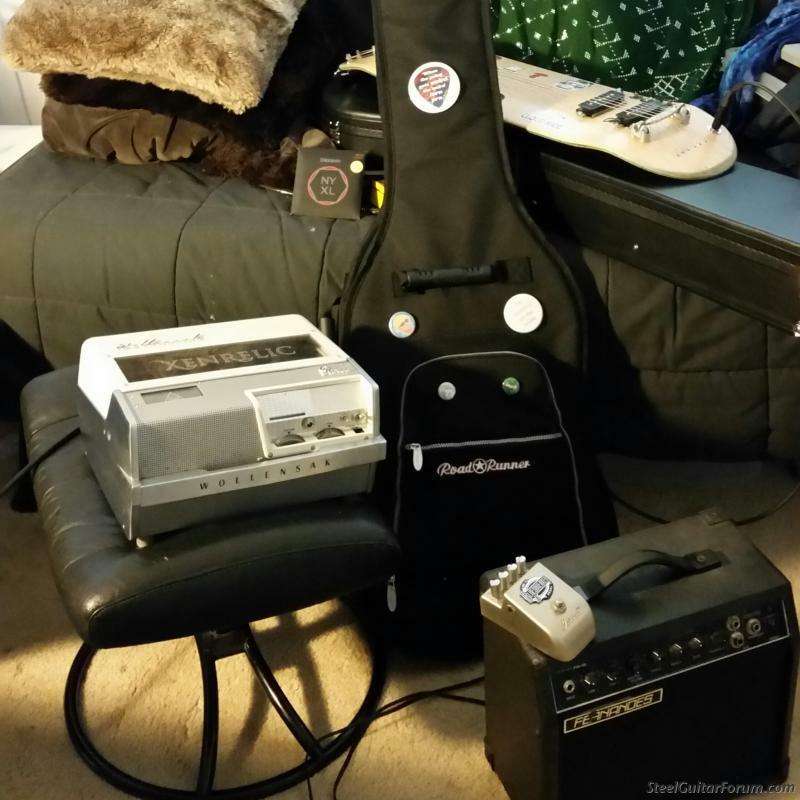 It's the last third of this recording praising my guitar teaching tool, Rocksmith.